From Doctor Who to some of the best movie plotlines, time travel is an exciting prospect - but did you know you can time travel on the Isle of Wight just by jumping in the car, going for a cycle or even walking across the road? 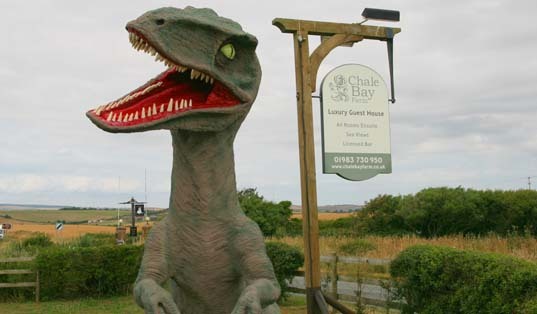 Of course we don't mean time travelling for real but with the dozens of Isle of Wight attractions and activities, you can rapidly imagine yourself travelling back in time from recent history back to the age of the dinosaurs. The Cretaceous Period lasted from nearly 150million years ago until the famous "K-T boundary event", the asteroid impact that is widely believed to have led to the demise of the dinosaurs. So common are fossil finds on the Isle of Wight that in 2013 it was named the Dinosaur Capital of the UK, and the Isle of Wight's Cretaceous Coast is rapidly becoming more famous than Devon's Jurassic Coast. As a result there are lots of dinosaur and fossil related attractions to visit and activities to do ranging from museums to fossil hunting. To find out more check out our Dinosaur Trail. The Mesolithic or "middle stone age" period lasted from about 12,000 to 7,000 years ago before the Solent was flooded. The rising water levels in turn have preserved a number of settlements and you you may already have seen news features on the discoveries being made. At Sunken Secrets at Fort Victoria Country Park (PO41 0RR) you can delve beneath the Solent to uncover the flooded past and displays the work done by the archaeologists on the Mesolithic (8,500-4,000 years old) site of Bouldnor Cliff. Situated just off the northern coast of the Isle of Wight, this unique and important submerged landscape was once the highest point of the chalk ridge. The story of Bouldnor Cliff sits alongside other pre-historic finds from the Solent and an animation asking could you survive the Stone Age? There are also lots of other things to do at Fort Victoria including a model railway, aquarium and planetarium. Leaping ahead to Roman times, there are at least seven known roman villas on the Isle of Wight. Two are open to the public, at Brading and Newport. Brading Roman Villa (PO36 0EN) is one of the finest Roman sites in the UK. Its award winning Visitor Centre and Museum offers a unique insight into Roman life in Britain from beautifully preserved mosaic floors to an extensive collection of Roman archaeology. 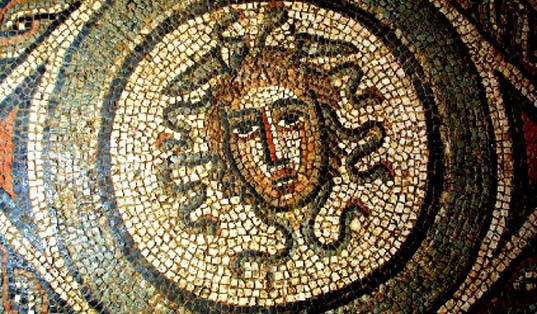 Brading Roman Villa offers something for everyone; amongst the best preserved Roman mosaics in Northern Europe, interactive displays, licensed cafe, shop and extensive grounds including a Roman garden and meadow trail. The museum and visitor centre are housed within an award-winning ecological cover building and the Villa site sits within a designated Area of Outstanding Natural Beauty. Newport Roman Villa (PO30 1HA) was discovered in 1926 when the owner of a nearby house sank foundations for a garage, subsequent excavations revealed extensive remains of a late Romano-British farmhouse built around 280 AD. Although much smaller than Brading the well-preserved remains at Newport Roman Villa provide a fascinating insight into country life in third century Britain. The Villa has a superb bath suite with under-floor heating and remnants of mosaic floors. 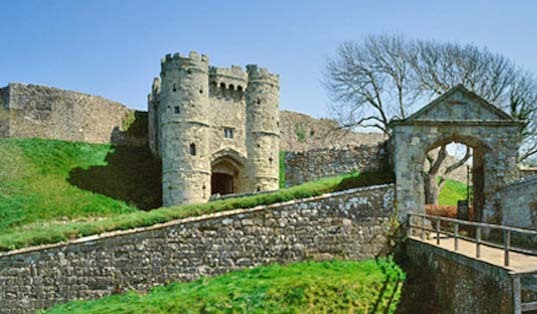 The most notable medieval building on the Isle of Wight is Carisbrooke Castle (PO30 1XY). One of the main tourist attractions in the Isle of Wight, Carisbrooke Castle is best known as the place where King Charles I was imprisoned. You can still play bowls on the very green Charles used. For a castle that has lived through more than 800 years of service, including resisting a siege by the French and seeing off the Spanish Armada, it's also wonderfully well preserved. 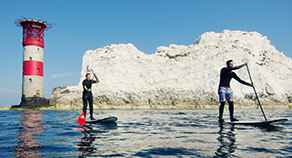 There are all the ingredients here for a great value family day out in the Isle of Wight. Children will love dressing up as Norman soldiers or Civil War troopers, and meeting the castle's famous donkeys, while for the grown-ups, the new Edwardian style Princess Beatrice Garden is a joy to explore. Within the grounds of the castle is the Carrisbrooke Castle Museum which was originally opened by Princess Beatrice, the Island Governor and youngest daughter of Queen Victoria, on 11 August 1898 as a memorial to her late husband Prince Henry of Battenberg. The exhibits relate mainly to King Charles I - imprisoned in the castle for the last year of his life - and comprise personal relics, documents, prints, and armour of the English Civil War period. Another striking medieval landmark is the remains of St Catherine's Oratory (PO38 2HN) - the lighthouse on St. Catherine's Hill very near to Chale Bay Farm, known locally as "The Pepperpot". The lighthouse was built by Walter De Godeton in the early fourteenth century and it is the second oldest surviving lighthouse in the UK. The oratory has long since descended to rubble under the grass around. 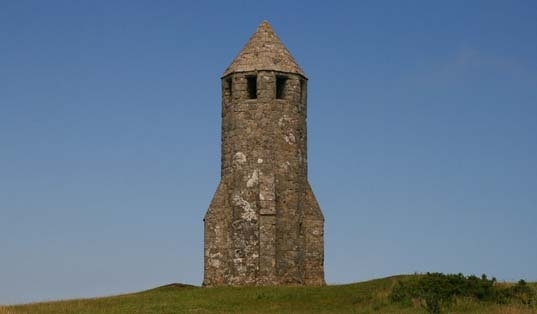 The Pepperpot is best reached from the viewpoint car park just above Blackgang. Near to the lighthouse is a Bronze Age barrow, which was excavated in 1925. South of the medieval lighthouse under the modern communication mast is the base of a later lighthouse dating to 1785. This was never completed and after the wreck of the Clarendon in 1837 the present St. Catherine's lighthouse was built at the foot of the undercliff below Niton. St Andrew's Church (PO38 2HH), just up the road from Chale Bay Farm, dates to 1114 and is celebrating its 900th anniversary in 2014. Notable in the graveyard are the last resting places of some of those who died in the wreck of the Clarendon. Quarr Abbey (PO33 4ES), founded in 1132, was the centre of monastic life on the Island until its dissolution by Henry VIII. Group visits to the Abbey, with a monk guide, can be arranged. They include full visits to the pilgrim chapel and the church, and tell you about Saint Benedict, the history of the community, the architecture of the church and the daily life of the monks. 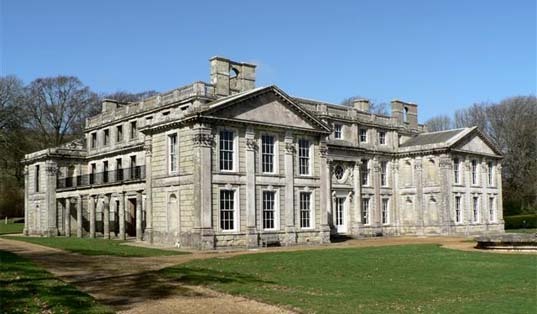 Once the grandest and most striking house on the Isle of Wight, Appuldurcombe's 18th century baroque elegance is still notable today in the partly restored shell of the building. Admire the delightful east front and stroll peacefully through 'Capability' Brown's idyllic ornamental 11 acres of grounds. Treat yourself in the well stocked and attractive souvenir shop. There is a exhibition of local historic finds over the shop. A perfect place for a picnic and the grounds are a haven for wildlife. 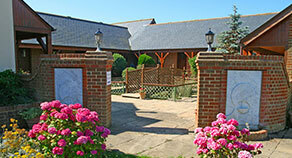 Within the grounds is the Appuldurcombe Owl and Falconry Centre with both indoor and outdoor displays. (PO38 3EW). The pier was designed by John Kent of Southampton and its foundation stone was laid on 29 June 1813. The completed pier opened on 26 July 1814, and had, as it still has, a timber-planked promenade. The structure was originally wholly timber, and measured 527m. By 1833, extensions took the overall length to 681m. It is this pre-Victorian structure which has, with some modifications, carried pedestrians and vehicles ever since. Before the pier was built, passengers to Ryde had the uncomfortable experience of coming ashore on the back of a porter and then, depending on the state of the tide, having to walk as far as half a mile across wet sand before reaching the town. The need for a pier was obvious, especially if the town was to attract the wealthy and fashionable visitors who were beginning to patronise other seaside resorts across England. (PO33 2HF). The perceived threat from France and the need to defend the Solent and Portsmouth against a possible invasion led to the building of a large number of forts on the Island and also the well know island fortresses in the Solent. Although these forts are sometimes thought of as Napoleonic forts, the Napoleon referred to is actually Bonaparte's nephew, Louis Napoleon, and because they defended against an invasion that never came they are alo known as (Prime Minister) Palmerston's follies. Many of them are now open to the public such as the Needles Old Battery (PO39 0JH), or have been used to incorporate modern day attractions such as Fort Victoria. The building programme even included the Military Road on which Chale By Farm is situated, which linked various sites on the south west of the Island. 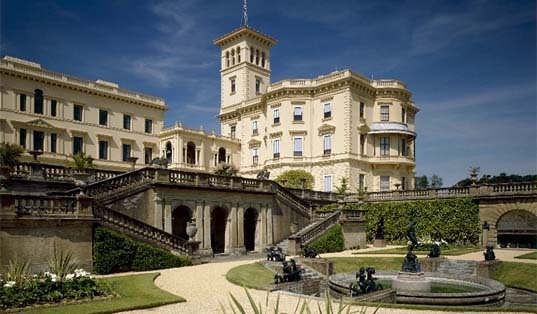 Queen Victoria is reported to have said "It is impossible to imagine a prettier spot" after her first visit to Osborne (PO32 6JX) on the Isle of Wight. No trip to the island would be complete without a visit to this royal seaside palace where Queen Victoria lived with her beloved Prince Albert and their nine children. Explore Queen Victoria's private beach, now open to the public for the first time. "We have quite a charming beach to ourselves," Victoria wrote in 1845 and it was here that the Queen regularly bathed and where her children learned to swim. Julia Margaret Cameron (1815 - 1879) was one of the most important early photographers and is now recognised the world over as a pioneer of photography as art. A woman ahead of her time, she was ambitious and freethinking when most Victorian women were passive and demure. She took on the challenges of handling large cameras and dangerous chemicals at a time when photography was known as "The Black Art". Dimbola Lodge (PO40 9QE) was the home of the celebrated Victorian photographer Julia Margaret Cameron. It is now a Museum and Gallery dedicated to her life and work, which also showcases contemporary exhibitions from photographers around the globe. For more than a century the Island’s railways operated with near life expired locomotives and carriages sent over from mainland railways. As a result the Island became a repository for a magnificent collection of 19th and 20th century steam locomotives and carriages. 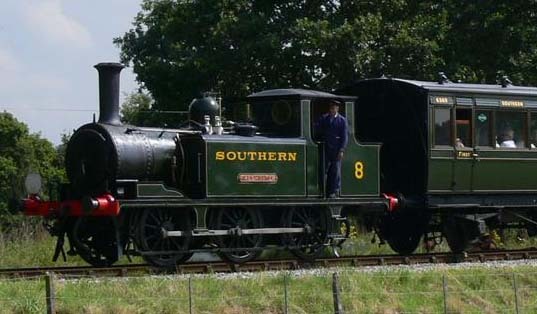 These are preserved by the Isle of Wight Steam Railway (PO33 4DS). The remaining track passes through five miles of unspoiled Island countryside between Wootton, Havenstreet, Ashey and Smallbrook, recapturing the days of the branch line railway. Brought to life again are those perky tank engines and quaint, wooden-bodied carriages which were once such a familiar sight when, up until the 1950’s, the Island boasted some 55 miles of railway lines connecting the Island’s towns and villages. A little known fact is that the "New" Battery (PO39 0JH) just to the North of the Needles "Old" Battery was used to develop and test the UK's intercontinental ballistic missile delivery systems, Blue Streak and Black Knight. The development was then applied to more peaceable purposes with the development of Black Arrow, our own independent rocket system which launched the Prospero Satellite into space in 1971. 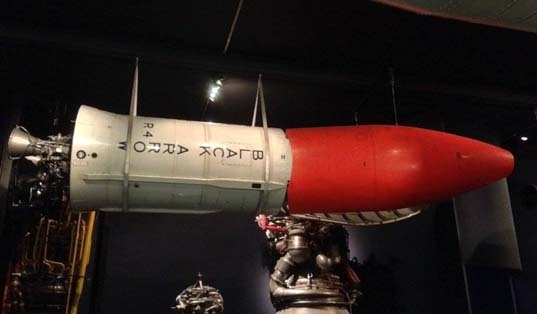 Black Arrow is on display in London's Science Museum. The Old Battery has a fascinating cold war exhibition in a settting a Bond villain would be pleased to get his hands on (albeit he'd still need to install a monorail! ).